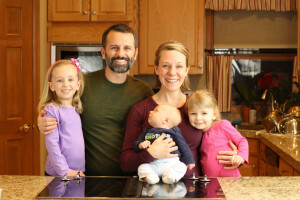 This past November, Kelli and I celebrated our 8-year wedding anniversary. As we wrote later that month, we did dinner that night at The Artist’s Palate in Poughkeepsie. One of our appetizers was crispy tofu. The tofu was lightly battered in rice flour and deep fried. It was very similar to a true tempura, when vegetables (and other foods) are dipped in a wet batter (often made with water and wheat flour, though just as easily made with rice flour or another gluten-free flour) and deep fried. It was dee-licious, and since then, I’ve had that tofu preparation in the back of my mind. Fast forward to this past week, when I was whipping together an Asian-inspired vegetable and noodle dish for dinner one night. There was half a brick of tofu in our fridge that needed to be used up, and I seized the opportunity. As you’ll see in the recipe below, I didn’t make a proper tempura. But the result was equally delicious, easier to make, and arguably healthier. The resulting tofu cubes are delicious on their own as a snack—they’re like tofu versions of popcorn shrimp or popcorn chicken. Pair them with an Asian dipping sauce as an appetizer. Add them at the last minute to Asian-inspired entrees. Or even place them over salad in lieu of croutons. The opportunities are many! 2. In a bowl, add the flour, then season with salt, pepper, ground ginger, and garlic powder (about 1 tsp of each). Mix. 3. Add the tofu cubes to the bowl, and toss to coat well. 4. Transfer the tofu to a colander/strainer, and shake lightly to remove excess flour. 5. Add enough olive oil to your skillet so that the oil depth is 1/4 inch or 1/2 cm. Heat over medium-high heat. Test the temperature with one tofu cube—it should sizzle well when added to the oil, but the oil should be kept below its smoke point. 6. 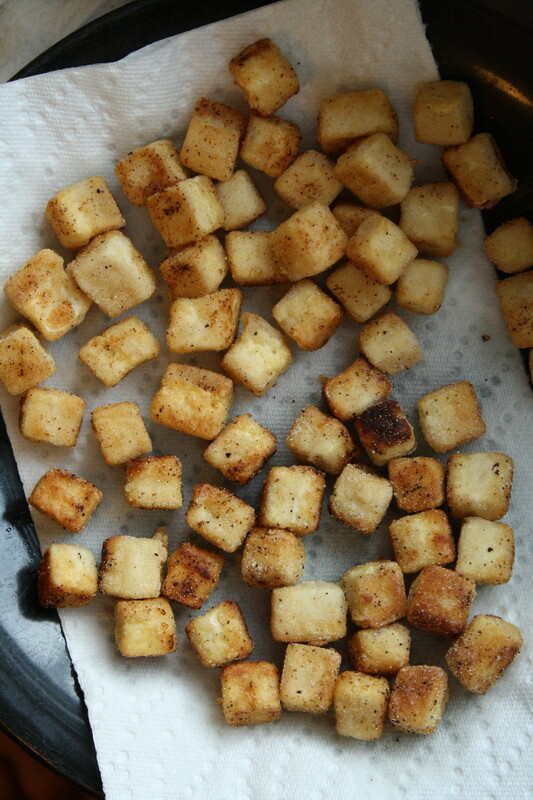 Pan fry the tofu, in batches if necessary, turning occasionally until lightly browned on all sides. 7. Transfer to a paper-towel lined plate. Serve warm. Though we used our signature flour blend for this recipe, you could substitute most any all-purpose gluten-free flour blend or GF flour. 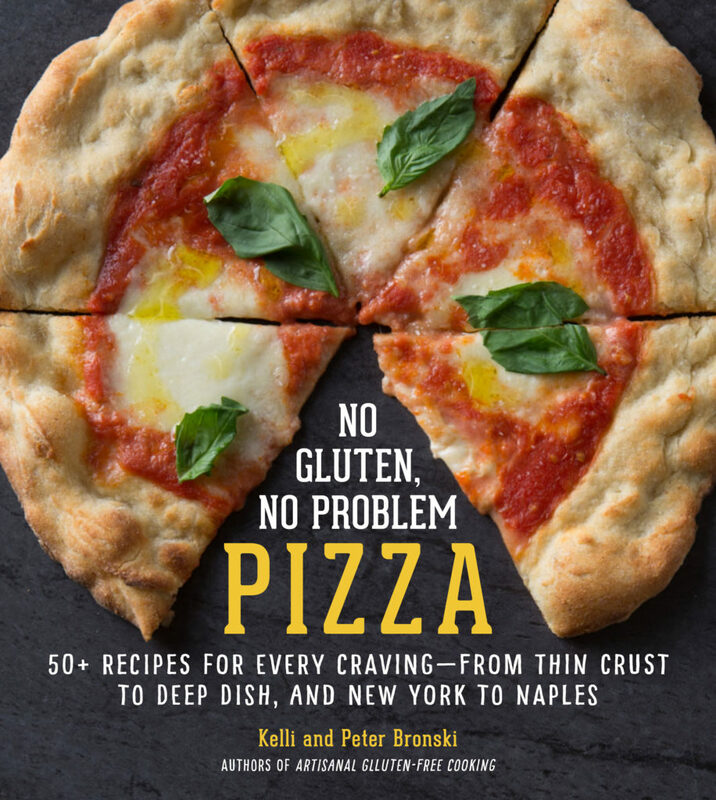 This recipe is: gluten-free, dairy/lactose/casein-free, peanut-free, tree-nut-free, fish-free, shellfish-free, refined-sugar-free, vegetarian. Per serving: 213 calories, 18g fat, 6g carbs, 9g protein, 395mg sodium, 1g dietary fiber, 0g sugars, plus at least 50% RDA manganese, and at least 10% RDA magnesium, phosphorous, and selenium.